Children with the gift of giving have a generous attitude. If they see someone in need, they respond. They are good at sharing their things with other children and are not “territorial.” One trait that characterizes these kids is how they enjoy giving more than receiving. These children are fulfilled by knowing the gift they gave brought joy and help to someone whether the recipient knows the source or not. Givers are thoughtful and deliberate about what they give. They tend to be frugal children, saving and not wasting. They are industrious workers, volunteering to work on projects to help someone else. Often they will give away their time and energy to assist others in practical ways such as mowing an elderly neighbor’s lawn, shoveling snow from their sidewalk, or delivering hot meals. A fascinating trait of many Giver children is their talent to make and save money. Even as young children Givers are entrepreneurial in their thinking. Often Giver children start their own businesses, such as lawn work, babysitting, selling baked goods door-to-door, etc. Their motivation is to make money, so they can use it to benefit others. Even if this entrepreneurial tendency is not see in childhood, Givers often find themselves managing or working in positions that require financial and mathematical proficiency as adults (accounting, financial planning, investing, budget analysts, accounts payable departments, or handling finances for organizations in some way). 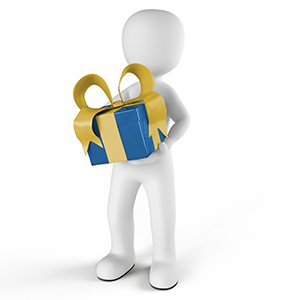 There are some Givers who do not experience the financial aspect of their gift. In these cases, a Giver is still compelled to meet a particular need of others through a specific call on their life. A true giver is motivated to be generous and gracious.